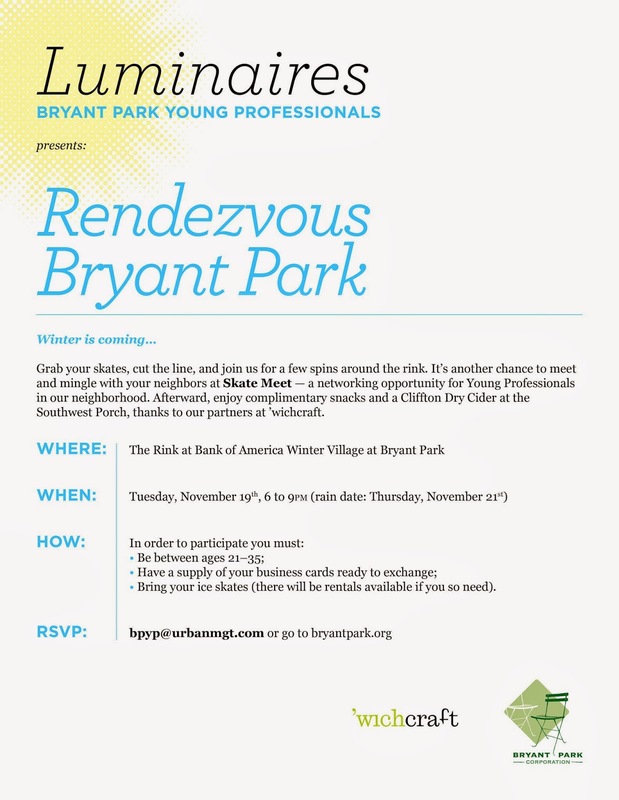 You may remember that over the summer, our Luminaires young professionals group hosted its first-ever Rendezvous Bryant Park, an event meant to bring together young professionals from the Bryant Park area for relaxed networking. But what is Luminaires, exactly? Many venerable New York City public institutions like the New York Public Library and the Metropolitan Museum of Art have paid member associations for young professionals. 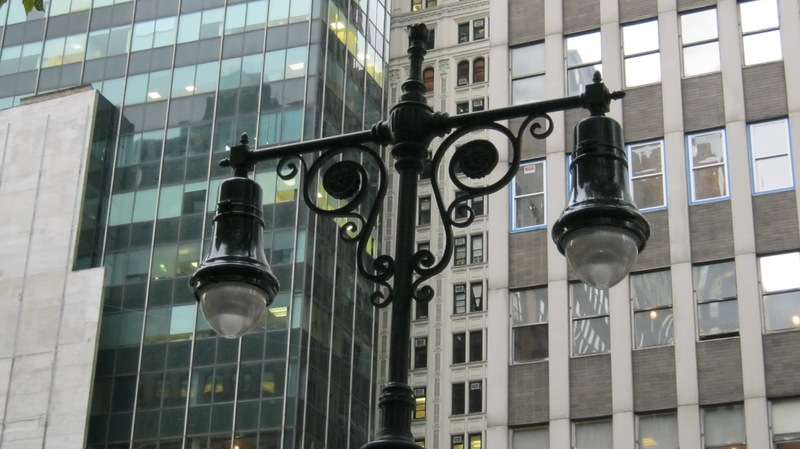 Through Luminaires, Bryant Park hopes to create its own environment for leadership among those young professionals in various fields who work around or have a connection to Bryant Park. Named for the old-fashioned light fixtures that line the park, we hope this new group will foster a deeper connection to the park, shining brightly and leading by example. 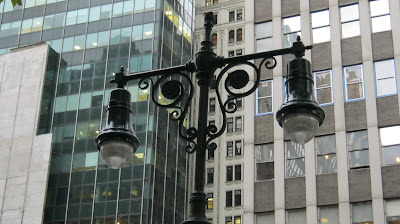 Ornamental luminaires line the perimeter of the park. 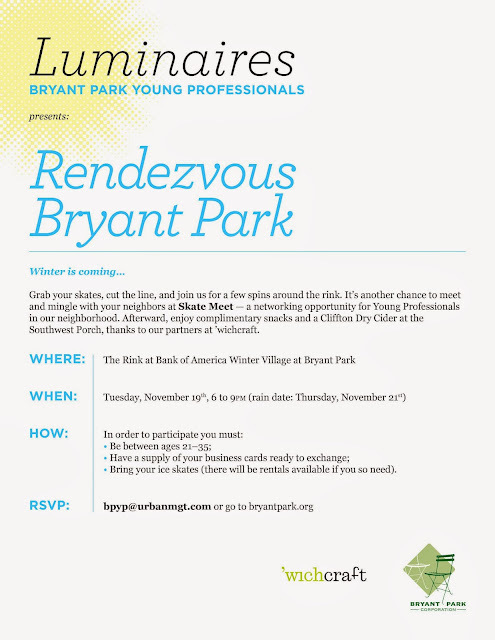 Luminaires is pleased to announce Skate Meet, its second event, on Tuesday, November 19, for people potentially interested in learning more about the Luminaires, or simply interested in networking with other young professionals in the area. Join the Luminaires for skating from 6:00pm to 9:00pm for skating and networking, followed by complimentary snacks and Cliffton Dry Cider at the Southwest Porch, courtesy of 'wichcraft. Invitation and full details below.